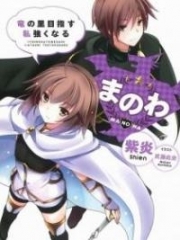 You’re reading novel Chaotic Sword God Chapter 1070: Entwined Fates online at LightNovelFree.com. Please use the follow button to get notification about the latest chapter next time when you visit LightNovelFree.com. Use F11 button to read novel in full-screen(PC only). Drop by anytime you want to read free – fast – latest novel. It’s great if you could leave a comment, share your opinion about the new chapters, new novel with others on the internet. We’ll do our best to bring you the finest, latest novel everyday. Enjoy! The light that had dyed the room a water-blue had already disappeared. It was pitch-black currently, so dark that nothing could be seen. Only enchanting, arousing sounds constantly rang out. Jian Chen remained clear-headed in the room. He carefully guided slivers of Chaotic Force slowly out of his dantian and into Huang Luan’s body through a special method. He then had them stop in Huang Luan’s dantian for a while according to the sea G.o.ddess’ method. Huang Luan’s Water Spirit’s Body was indeed much more wondrous than any ordinary const.i.tution. Even though she had lost control of the pure, water-attributed energy, it was no weaker than before. He could indeed feel the brutal, destructive presence of the Chaotic Force being neutralized by the energy when it paused in her dantian, constantly weakening. “Jian Chen, I will now tell you the detailed method on how to rebuild the Water Spirit’s Body. You must do everything according to my instructions and do nothing wrong, or the reconstruction will probably be impossible,” the sea G.o.ddess’ voice rang in Jian Chen’s head. Afterward, she extended a finger and the frozen pure energy in the room immediately began to surge toward Huang Luan’s body, before disappearing into her. All the energy and potential of the Water Spirit’s Body that had drifted out returned to Huang Luan’s body under the control of the sea G.o.ddess. Ever since she began to practice the second version of the Scripture of the Aquatic Sunflower, Huang Luan’s Water Spirit’s Body had been ruined and was about to collapse. If the sea G.o.ddess had not arrived in time, she probably would have lost all of her powers and would have been reduced to a mortal. The sea G.o.ddess pa.s.sed on the method to reconstruct the Water Spirit’s Body to Jian Chen, and then a.s.sisted him from one side. She used her powerful soul that belonged in the Origin realm as well as her supreme control over water-attributed energy to rebuild the Water Spirit’s Body with Jian Chen. The const.i.tution was something unique that would rarely appear even over the span of a hundred thousand years. It was completely innate, not something that could be achieved through cultivation. Huang Luan’s Water Spirit’s Body was about to collapse, and her energy and potential had already begun to disperse. Rebuilding the const.i.tution under such a situation was undoubtedly an extremely difficult matter, even impossible. The Water Spirit’s Body was no ordinary const.i.tution. Even well-versed Saint Emperors would have no idea what to do with it, let alone rebuild it. However, it was fortunate that Huang Luan received the help from the sea G.o.ddess this time, which was why the const.i.tution could be recovered. The sea G.o.ddess was one of the four supreme experts from ancient times after all, having reached the legendary Origin realm. As a supreme existence in regards to water, no one could rival her understanding of the Water Spirit’s Body. The reconstruction process was successful. Jian Chen did what the sea G.o.ddess instructed and followed every step and detail carefully. Finally, after one whole day, Huang Luan recovered her Water Spirit’s Body. Now that the problems in her body were completely removed, Huang Luan’s senses of water immediately reached an unprecedented level. She could also feel that the compatibility between her body and water-attributed energy was unbelievable. Right now, she only needed a single thought to instantly gather all the water-attributed energy in the radius of several dozen kilometers, all of which would be under her control. She had experienced this before, but it was never as powerful as right now. Not only did the const.i.tution provide Huang Luan with almost heaven-defying talent in cultivation, it also granted her supreme control over water-attributed energy as well as a future of infinite potential. The Chaotic Force that entered Huang Luan did not return to Jian Chen’s body. It was permanently deposited in Huang Luan’s body under the sea G.o.ddess’ control, allowing Huang Luan to refine it into strands of pure, water-attributed Saint Force. It became her own power. Although not a lot of Chaotic Force had entered Huang Luan’s body, each strand was composed of vast quant.i.ties of energy, so just that tiny amount caused Huang Luan’s strength to skyrocket. She reached the Third Heavenly Layer of Saint Ruler. However, that was not all that happened. Even her Water Spirit’s Body benefited, increasing the toughness of her body. It was still far from Jian Chen’s Chaotic Body, but no one else could rival it even if they possessed a similar level of cultivation. Even the pure, water-attributed Saint Force within her seemed to undergo some minute changes. The problems with Huang Luan’s Water Spirit’s Body were finally resolved completely, allowing Jian Chen to relax. The two of them finally separated, and they pulled out clothes from their s.p.a.ce Rings to put on at the same time. What differed what was they felt inside. Jian Chen was strewn between different emotions, while Huang Luan felt pleasant, satisfied, and happy. “Jian Chen!” Huang Luan could not help but call out Jian Chen’s name softly after putting on her clothes. She stuck to Jian Chen’s body once more, laying on his chest silently with a satisfied and happy smile. She was like glue. Jian Chen gently wrapped his arm around Huang Luan’s figure and slowly inhaled the fragrance of Huang Luan. He knew that Huang Luan had truly become his woman now, both on paper and in actuality. At the same time, it was the second woman he had entwined with. The first was the cold, prideful beauty, the Heavenly Enchantress. The two of them only embraced each other due to their special circ.u.mstance because of the fact that their lives were threatened. As for Huang Luan, it was the same case, but it was different from the first time as well. Huang Luan was pa.s.sionate and threw herself at Jian Chen, offering her body to him. “Sigh,” Jian Chen exhaled inside. He could not help but think of everything that had happened in the past, the scene where he accidentally came across Huang Luan in the river outside Walaurent City. Jian Chen could not help but emotionally sigh inside as he thought about how he first met Huang Luan. Who would have thought that the girl he had accidentally met would end up with a relations.h.i.+p like this with him? Huang Luan nodded and said nothing else. Jian Chen’s heart slightly sank after confirming that it was still there. 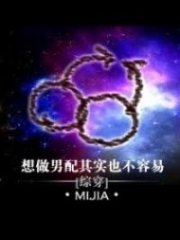 He then looked at the sea G.o.ddess, “You majesty, may I ask if you have some understanding regarding these types of secret techniques and if you are able to undo them or not?” Jian Chen did not feel indebted to the sea G.o.ddess even though she had helped him a lot. He knew he would pay her back in the future, when the worldly ebb of the sea realm occurs. “I can help your friend reconstruct her body in my current form, but I am unable to break the secret technique. However, it is not difficult to remove it; you can take her to a protector. There should be people there who can manage,” said the sea G.o.ddess. Afterward, Jian Chen and Huang Luan bid farewell to the sea G.o.ddess before leaving the underground room together. They discovered that a large portion of the Huanggu clan people had left once they returned to the surface. Only a small portion of old people remained. While Jian Chen was underground, the clansmen moved a large portion of their clan away, fearing Jian Chen’s rage because of Huang Tianba and Huang Luan’s sufferings, hoping that they could save at least just a few people. Only a few older people who were loyal to the family and did not fear death remained. If it was before, Jian Chen would definitely vent his anger on these people, or even wipe out the entire clan. However, he was now a Saint King and his mentality had undergone some changes. Coupled with the fact that the clansmen had no idea that Huang Tianba had been trapped, he did not make it difficult for them. He left with Huang Luan, returning to the Huang family. The seal within Huang Tianba was removed by Hei Yi. Together with the personal treatment from the artifact spirit, Huang Tianba recovered extremely quickly, having returned to peak condition long ago. The Huanggu clan ancestor thrown into the artifact s.p.a.ce by Jian Chen was also brutally tortured by Huang Tianba, making him feel like he was better off dead. However, his life was not threatened due to the secret technique he had cast on Huang Luan. Huang Tianba and Huang Luan returned to the Huang family, and the news of them being trapped in the Huanggu clan quickly spread through the entire family. The news immediately caused a great uproar. Afterward, Huang Tianba took the clan treasure, the Solunar Bow, with him, personally leading group of experts to the Huanggu clan in a threatening manner. He swore to wipe out the Huanggu clan, to make it vanish from the continent. Meanwhile, Jian Chen and Huang Luan stayed at the Huang family in ease. They did not pay any attention to Huang Tianba’s actions. Once Huang Tianba returned, Jian Chen learned that Huang Tianba had used the Solunar Bow to destroy the region where the clan had settled down and that the remaining elderly members of the Huanggu clan were attacked collectively by the experts he had brought along. He killed them all, and also sent half of the Huang family experts to pursue the group of people who had fled from the Huanggu clan. He wanted to end the Huanggu clan completely. Jian Chen did not bother too much with these matters. Although he knew that many of the people were innocent, the concepts of ‘innocence’ and ‘benevolence’ did not exist on this continent. If the Huang family did not completely wipe out the Huanggu clan, the Huang family would face its end once the remaining members of the Huanggu clan rose up and became peak-level experts. You're reading novel Chaotic Sword God Chapter 1070: Entwined Fates online at LightNovelFree.com. You can use the follow function to bookmark your favorite novel ( Only for registered users ). If you find any errors ( broken links, can't load photos, etc.. ), Please let us know so we can fix it as soon as possible. And when you start a conversation or debate about a certain topic with other people, please do not offend them just because you don't like their opinions. You're reading Chaotic Sword God Chapter 1070: Entwined Fates. This novel has been translated by Updating. Author: Xin Xing Xiao Yao already has 7063 views. Current Time is Apr-21-2019 05:02:44 AM.